Jackie is a nurse at All Saint’s Hospital In New York City. She is committed to her job, feared and respected by most doctors and colleagues, and loved by her patients. She also has a wonderful family. Everything seems to be perfect, but there is one demon that threatens to tear her whole life apart: Her addiction to pills. First of all let me say that Nurses Jackie is not a comedy; it’s a drama, period. Sure, it has its funny moments, but so does life, and I wouldn’t call life a comedy either. From the very first episode where we get introduced to a hard-working nurse who is willing to walk the extra mile for her patients, we fall in love with her, and I am sure I am not the only one who thought, ” I wanna be her patient, because at least I am not dying on her watch.” Then the shocker: She has a pill-addiction and an affair. But why is it not possible to judge her or question her work ethics or morals? Every season is an emotional rollercoaster, and Jackie’s struggle is getting more and more intense, and the fact that she is such a likeable character makes it so hard to watch, but the thought that she might overcome her inner demons and lives the life that she deserves keeps us watching it. Edie Falco is an amazing actress and leads a cast that isn’t any less talented. 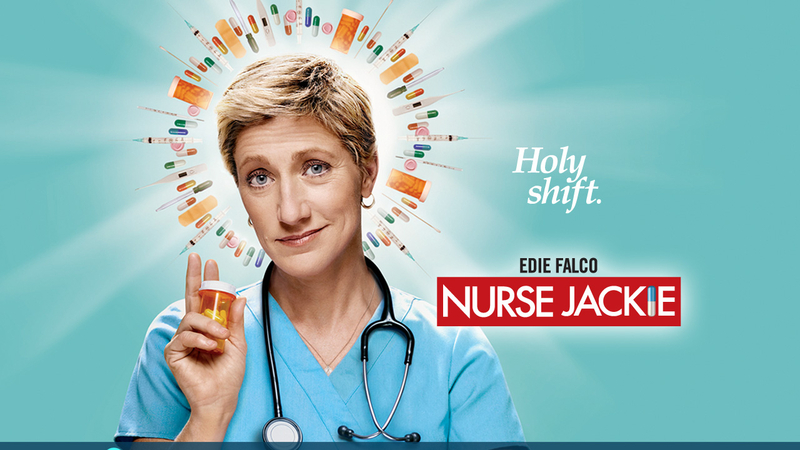 The show got highly criticized for bringing a bad light on nurses and doctors, since Jackie is constantly violating the Nurse Code ethics and overruling doctors. But in my opinion it is portraying the truth in an exaggerated way, and I wouldn’t see a nurse as a horrible person after watching the show, as a matter of fact I would see them as equally important as doctors, and I don’t think that’s a bad thing. To me Nurses Jackie is easily the best and most realistic hospital show out there, and I got that confirmed by some of my nurse friends, too. It is highly addictive and hard to stop watching once you started. I feel like Jackie became a part of my life, and I want see her succeeding. I highly recommend this show to anyone who appreciates a good and realistic drama.